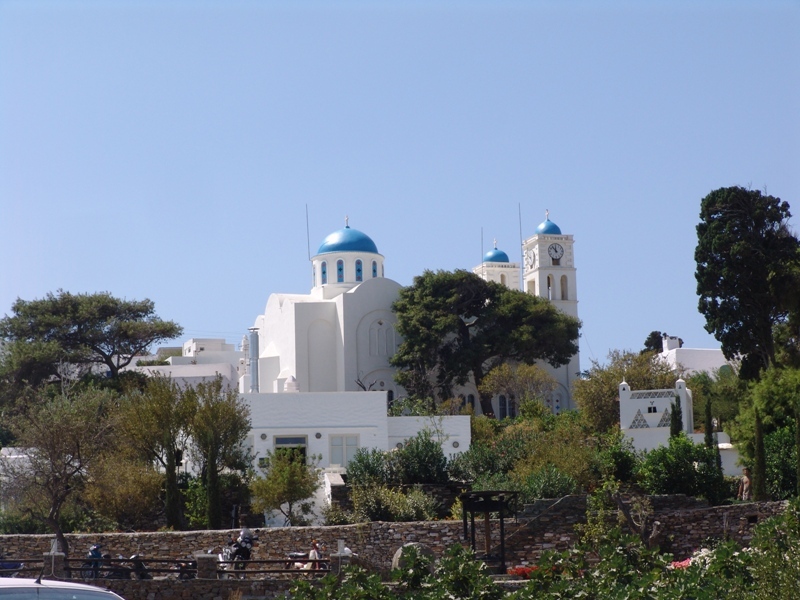 Sifnos is one of the few islands that choose to keep its tradition and custom despite of the “invasion” of tourism the last years on the island and the effect that it has on people’s everyday life. 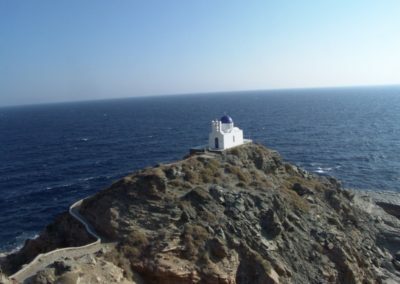 Sifnos is an island that showed a significant intellectual activity through the centuries. In regard to the Sifnian, like in all islands, custom and tradition are related to religious life and habits of the people. Open festivities, called panigyria, are a typical custom that Sifnians keep faithfully through the years. 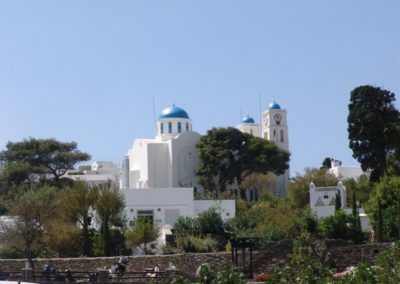 The difference on Sifnos is that every year one family, called “panigyrades”, keeps the icon of that year’s celebrated Saint in its home and is responsible for the organisation of the festivity. The icons is being delivered to the local church maximum one day before in order to prepare it for the procession around the streets of the village. After the procession the traditional food of revithada (chickpeas cooked in a ceramic pot), is offered to the people together with other specialities and plenty of local wine. Another local custom connected to religion is the Sifnian Carols. Usually these songs are customary songs that people sing all over Greece affected only by the local dialect. In Sifnos though, these songs are spontaneous compositions of the person singing at that moment and describes emotions, comments and situations of that person’s life. The Sifnian Carols is a way of showing one’s inspiration and artistic talent. 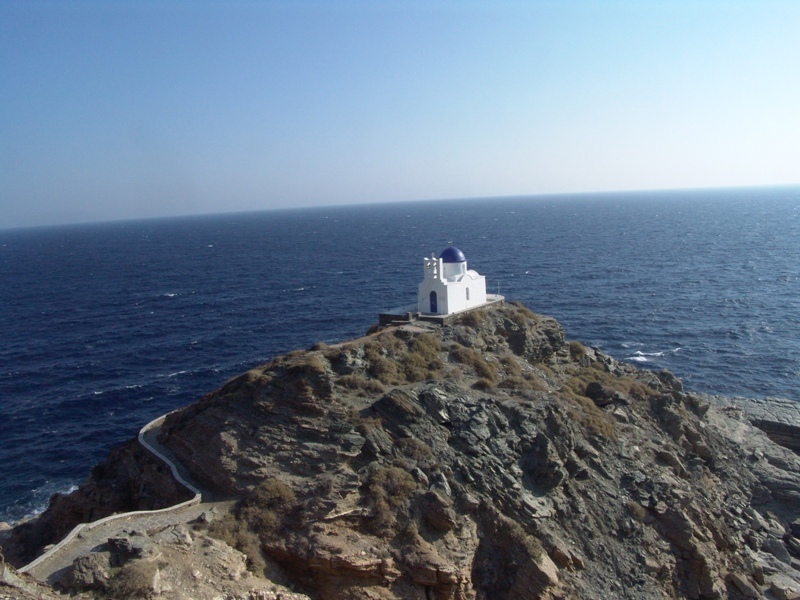 The wedding in Sifnos is also an interesting traditional ceremony, due to the long ritual in which active role have except from the bride and groom, also the best woman and man. The wedding party after lasts two days and the guests express their wishes to the couple by self-made poets and songs. Traditional music from violins and lutes play until all the guests get a chance to dance with the bride. Food and wine is available and a traditional sweet called pasteli, sesame bars with honey. The Carnival has a special color in Sifnos. During the period of the carnival people go around dressed with costumes full of imagination and humor. In sifnian dialect the masqueraded people are called kamiles (camels). In the big festivities Sifnians prepare large tables with plenty of specialties and drinks and they dance and sing all night under the sounds of takimi, the combination of violin and lute. Manyofthesedances, likethedance of Kyr Voria (Mr. Northwind), come from the pre-historic times, when, according to the Folklore researcher A. Troullos, people, being influenced by the Paganistic customs, used dances to mollify nature. This dance the old days took place at the front yard of the church of Panagia Konchis in Artemona and after the priest had started the dance, people who usually were masqueraded followed while others were singing various lyrics. During the summer the visitor has plenty of opportunities to enjoy a traditional fest on Sifnos. In May or June is the celebration of the monastery of Chrysopighi, on the 19th of July the one of Prophitis Ilias (Prophet Elias), on the 26th the one of Aghios Panteleimon in Chersonisos, on the 31st of August and on the 2nd of September the celebration of Aghios Symeon, on the 5th of September, 12th of July and on the 8th of November festivities take place in the monastery of Taxiarchis in Vathi. 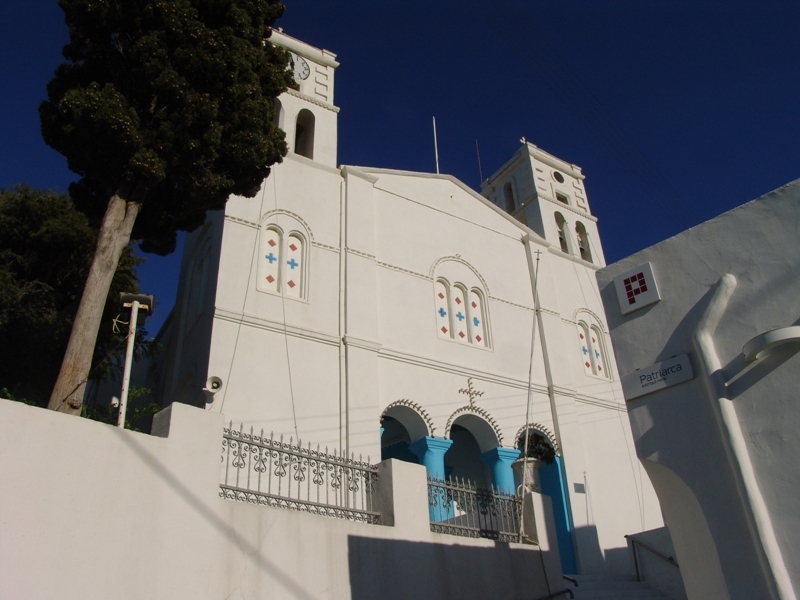 On the 13th of September celebrates the monastery toy Stavrou (of the Cross) in Faro and in Choni and on the 14th of September the monastery of Aghios Nikitas in Seladi. A beloved activity on the island of Sifnos is cooking. The known author of cooking books, after whose name we call any cooking book in Greece, N. Tselemendes came from Sifnos. The Sifnian cuisine is frugal but delicious. A variety of balls (fried balls made of any material like meatballs) fill the table, like chickpea balls, zucchini balls, green balls, tomato balls, tarama (fish eggs) balls or pea balls. The famous Easter specialty “Mastelo”, baby lamp cooked with wine and dill in a closed ceramic pot (gastra) for many hours, melts in the mouth. “Syglino” a delicious plate with anis and cumin or the cheese pie made out of fresh local cheeses with special flavour. Last but not least the famous “Revithada” that never misses from Sunday’s table. The local pastry shops offer a variety of sweets, like melopites (honey pies), pastelia (sesame-honey bars), the bourekakia, pergamonto and kourabiedes that delights the palate. Sifnos has many examples of folklore art to present, like textile, straw knitting and of course pottery that developed the most due to the argil mines of Sifnos. Sifnians were also involved with agriculture, fishing and during the last years with tourism.